Since 2014, area high school soccer coaches have been coming together to create camps for local soccer players. Last year, this group of coaches officially became B.O.S.S. Soccer, LLC. B.O.S.S. stands for Building Our Skill Set. 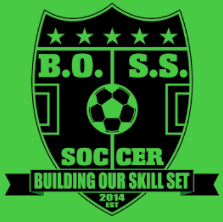 Our main focus is to continue to assist in player development of youth soccer players. In the past we have run middle school and high school camps for girls soccer players and a camp for high school boys soccer players. We will continue to put on camps for both boys and girls soccer players while expanding our time frame to both the indoor and outdoor seasons. In addition, B.O.S.S. Soccer, LLC will look to create leagues for players to compete in while also hosting a 3 v 3 Soccer Tournament in October of 2018. The secret of B.O.S.S. Soccer is simple, collaboration. When you sign up for a B.O.S.S. Soccer camp you are not just getting coached by one individual, but rather a team of experienced coaches with years of experience. The coaches that are part of the B.O.S.S. Soccer coaching staff have three core values: to help players improve as a soccer players, to help players realize their full potential and motivate them to put in the work to reach it, and to help players develop an even greater passion for the game of soccer. The results of the B.O.S.S. Soccer camps speak for themselves. The camp has coached many soccer players that have gone on to be successful college players while also coaching players that have been part of high school conference championship teams, teams participating in the high school state tournament, and teams that have won the high school state championship in recent years. The coaching staff is looking forward to continuing to spread its knowledge and passion for the game of soccer. Please browse our website for current camps, leagues, and tournaments taking place. You can now sign up and pay for all camps, leagues, and tournaments here on our website under the "SIGN UP" page. If you have any questions please do not hesitate to reach out below. Please use the form below to ask us any questions you may have about B.O.S.S. Soccer, LLC. We will respond to you at our earliest convenience.